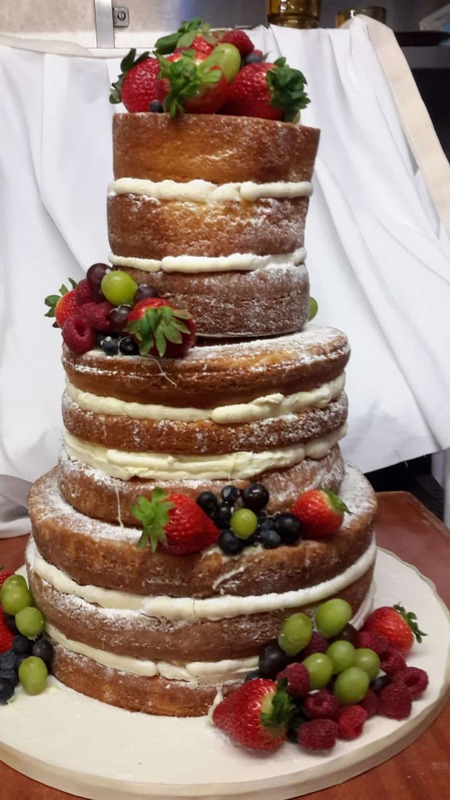 How to make cake tastings and consultations? By appointment, I will be happy to meet at my house to talk about your cake, wedding cake tastings with tea/coffee. Does your kitchen meet health and safety standards? Yes, we have completed primary courses on food safety principles and practices and passed the exams with distinction. Do you make cakes for special diets? Yes, this will have to be discussed when ordering your wedding cake. My kitchen is free of nuts. Gluten and dairy products must be ordered separately. 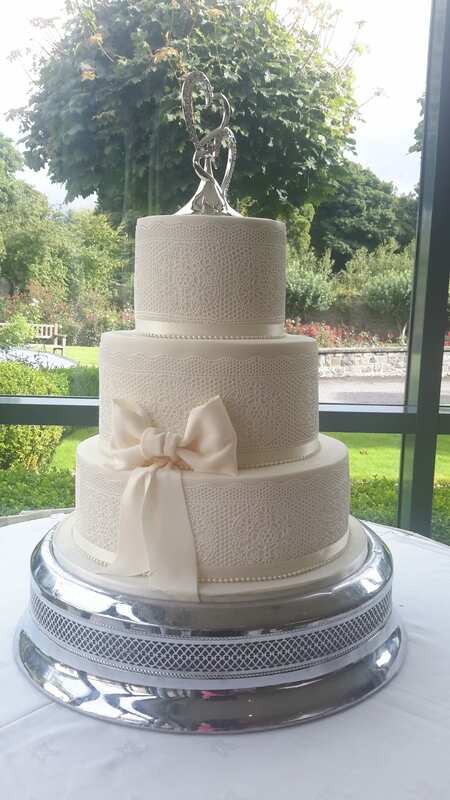 I can go all over the country with your wedding cake! 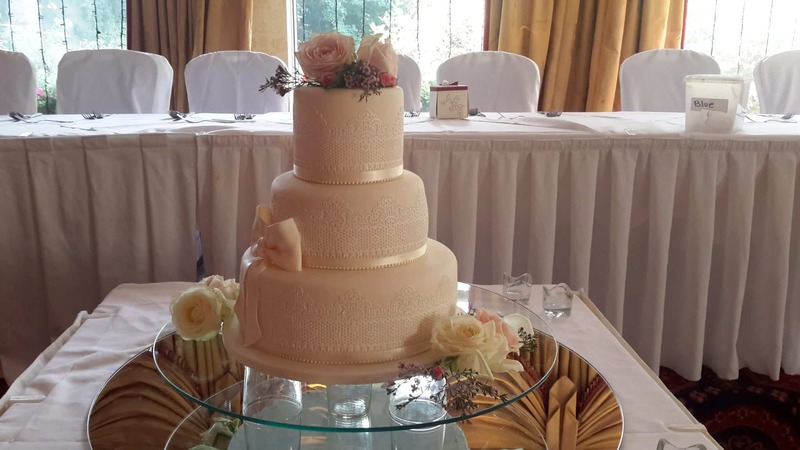 Your wedding cake will be delivered free of charge in most of the hotels and surrounding areas and will be set up for you on the day of the wedding. 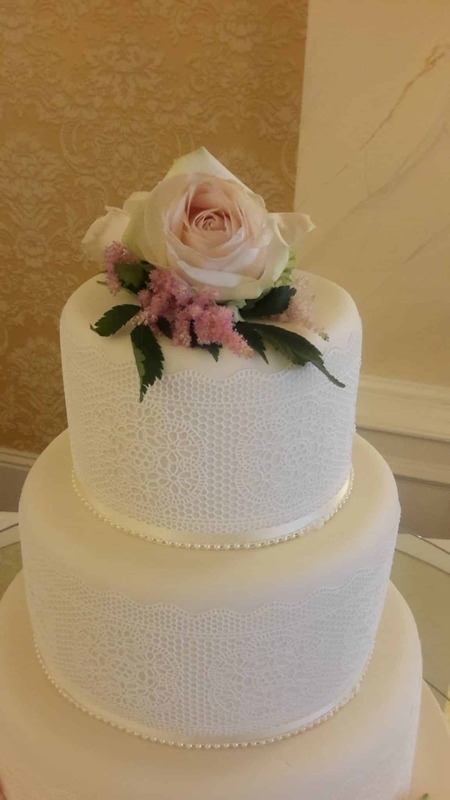 Can I have my cake decorated with fresh flowers? 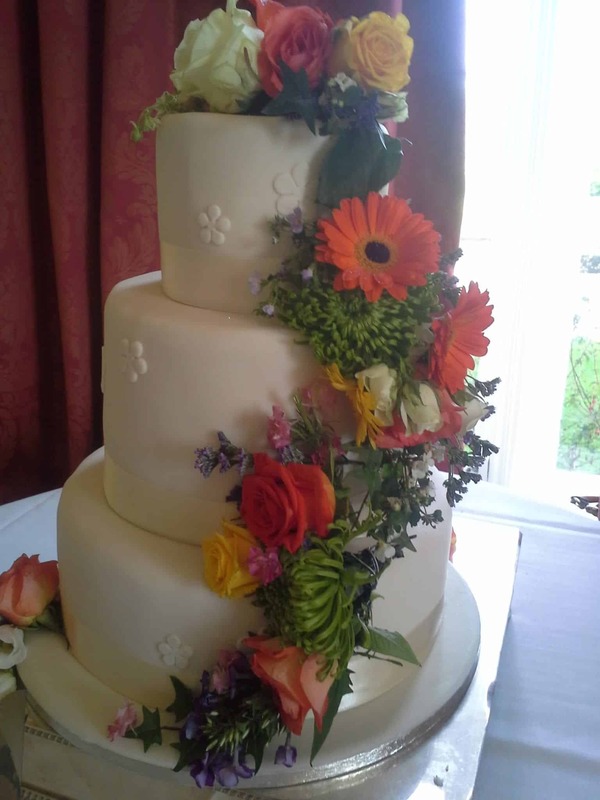 Yes, you can use fresh flowers on the cake. The flowers should be ordered from your florist or I can make arrangements with my florist to complement your own flowers. 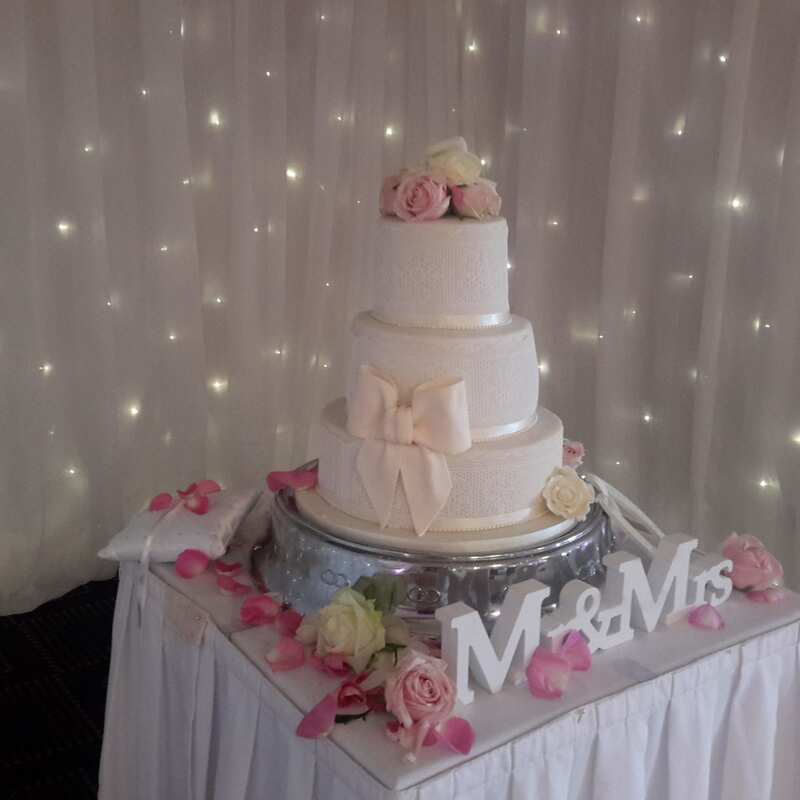 Are there additional costs for the wedding cake? 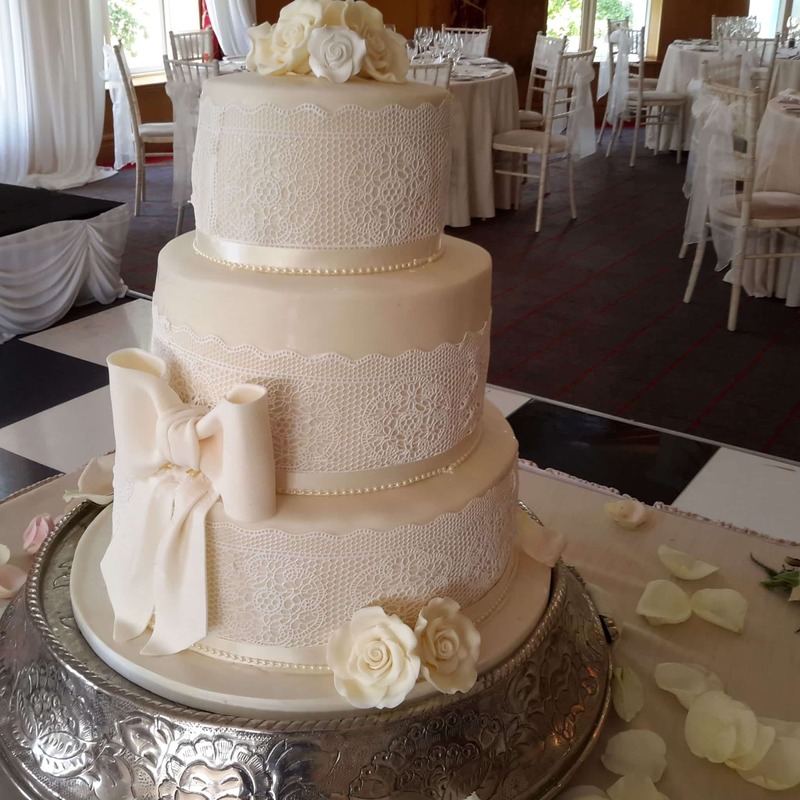 The extras that could be added to the price of the wedding cake are handmade sugar roses, decorations for cakes and, sometimes, delivery costs. We can instruct your wedding coordinator with any special instructions. 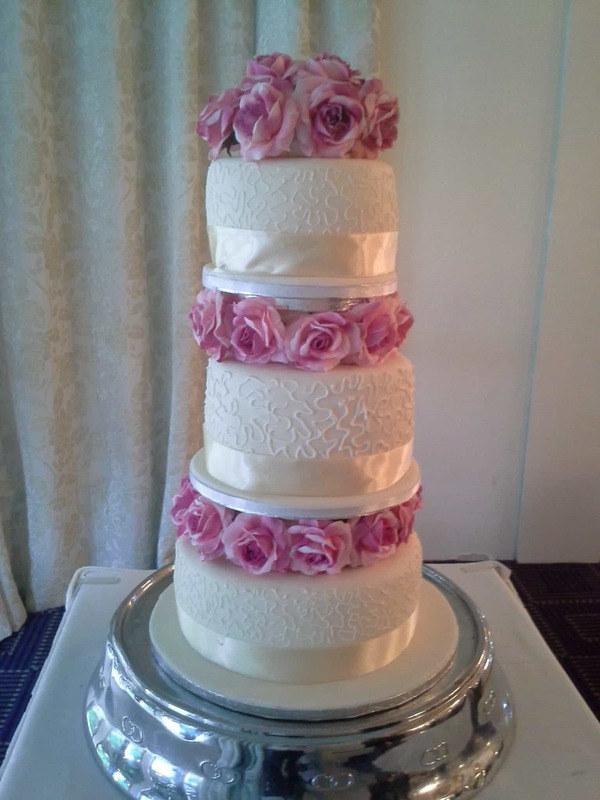 Does the biscuit cake have to be used at the bottom tier? It is not necessary since all the cake is supported internally with food pins to support each layer. 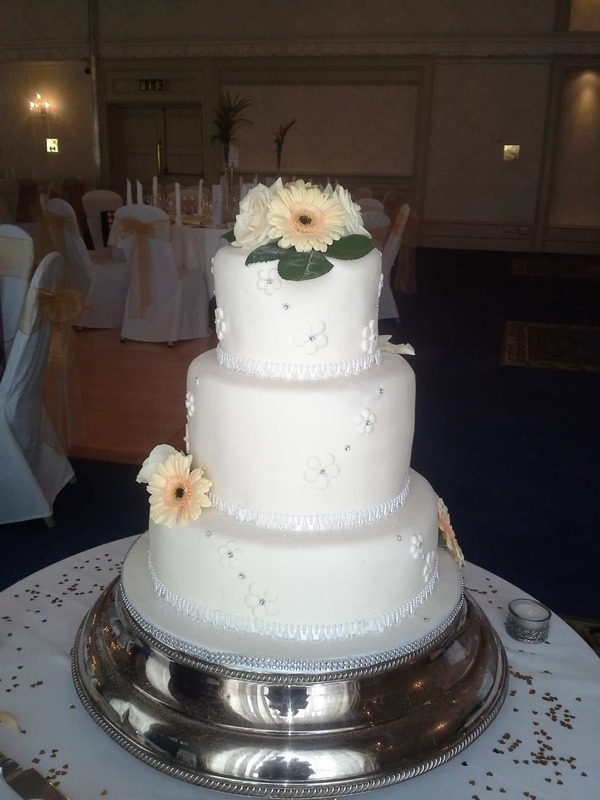 The deposit can be paid after consultation and cake tastings. Other deposits can be paid through bank details.